Our fleet of moving trucks are fully equipped and are specifically chosen to make your move easier for us, faster for you, and safer for your precious cargo. Our trucks serve you better than our competitor’s. We have the largest in the industry hi-cube trucks which allow us to fit much more than our competitor’s trucks. This allows us to fit everything in one trip or fewer trips than our competitors. This saves you money. Period. Most moving companies use all spring-ride suspension. Not J&J Metro; most all of our trucks have air-ride suspension. This ensures your items are safe as we transport them to their destination. Unlike most moving companies who use lift gate trucks only, we use traditional moving trucks. Our trucks are lower to the ground, making it easier for our movers to load items. 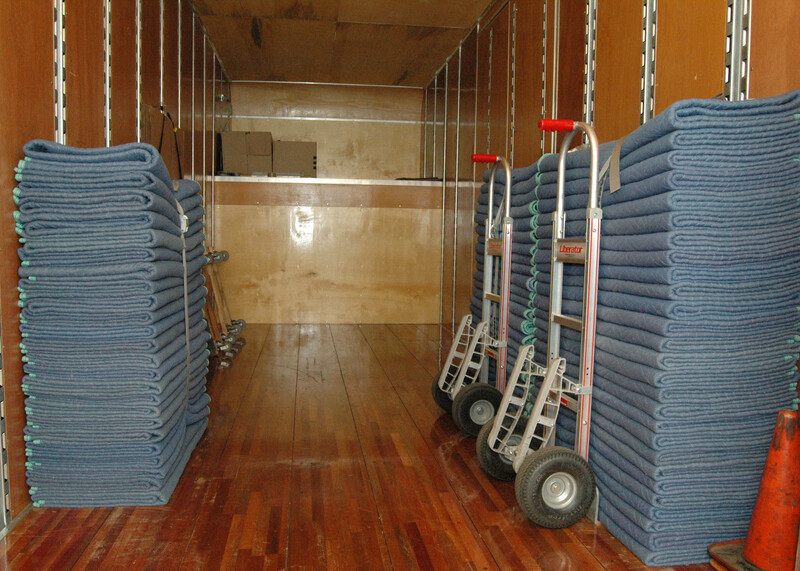 We supply our trucks with plenty of moving pads, dollies, straps, and other equipment for your move. Our professional movers use these tools to make your move quick and easy.